Hatcher Hurd, a writer for the North Fulton Herald, posted this wonderful article about the trail. 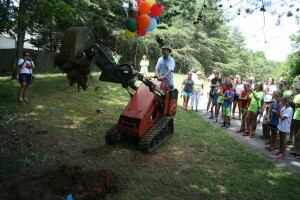 JOHNS CREEK, Ga. – The Findley Oaks community in Johns Creek will soon hav e an $85,000 nature/walking trail of about 0.7 of a mile around the Findley Oaks Elementary School campus, all for the memory of a child. Tyler Safarriyeh was a precocious 11-year-old with a special zest for life. When he died tragically in a skiing accident in 2011, his family and friends were determined to preserve Tyler’s memory in a way that befits his approach to life. So his parents Carrie and Jeff Safarriyeh started the Tyler’s Way Foundation with the help of family, friends and neighbors to honor the life of a child so young yet so full of life. 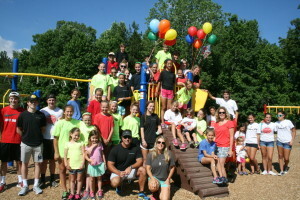 They gathered June 5 at Findley Oaks Elementary to celebrate Tyler’s life, to play a kickball tournament in his memory – he loved kickball – and then to break ground on a truly spectacular gift to the community. Kristen Portaro, a friend and president of the Tyler’s Way Foundation, said the community, especially Seven Oaks subdivision, still remembers Tyler. “That wa s the effect he had on people. He was a caring person, yet just so full of life. 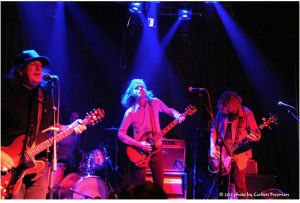 Tyler’s Way got started because we just weren’t ready to say goodbye to him yet,” Portaro said. The foundation sponsors various events as well as gives back to the community, but today it was both. More than 50 kids – including several of Tyler’s friends – were there to have fun and enjoy a beautiful day. “We have such a lot of people here who love Tyler. And what we have is a community coming together. They help us raise money, give scholarships and awards and help those who have less,” said Carrie Safarriyeh. The walking trail at Findley Oaks seemed a fitting thing for the Tyler’s Way Foundation to mark his memory. Findley Oaks Assistant Principal Cindy Lamb was on hand to thank the foundation for its contribution to both the school and the community. “This will be such a nice place for parents and kids to use. We’re excited to have it,” she said. At the groundbreaking, Carrie expressed her feelings. 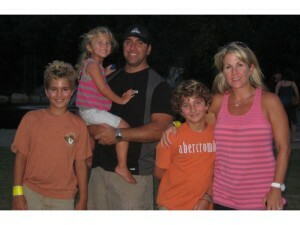 Johns Creek Patch shares Tyler’s Way Foundation with the community. Click this link for the full article. Tyler’s Way is excited and proud to announce a new project funded by YOUR SUPPORT! In an effort to leave a lasting and permanent impact in our community, as well as our continued commitment to our Family, Community and Character missions, we will break ground in May 2015 on the Tyler’s Way Walking Trail of Johns Creek , located on the property of Findley Oaks Elementary School. The trail will be a professionally constructed path, over a half mile long that circles the Findley Oaks property. Although exact details of the trail are still being developed, it will consist of character markers, memory pavers and several areas to reflect. The trail will be a safe and comfortable path for our community to use at their leisure. 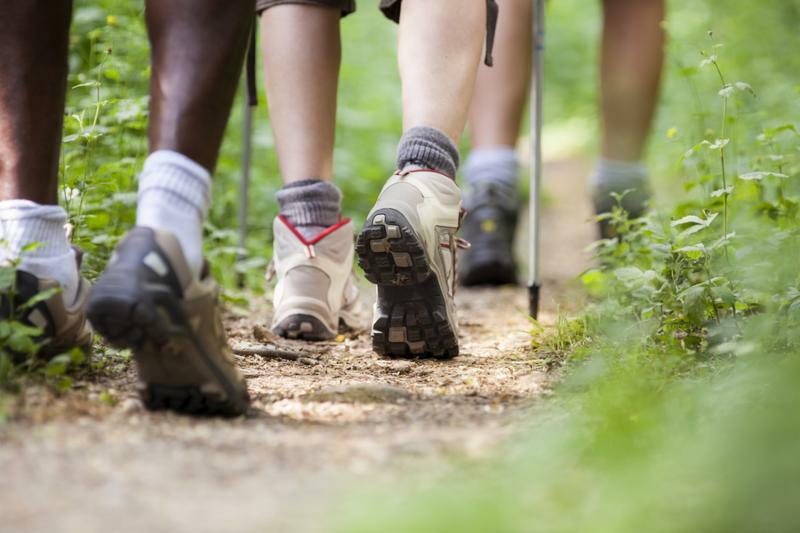 A great place for friends to join together, families with strollers looking for a smooth path, animal lovers walking dogs and all who love walking/exercising/ being outdoors to enjoy. We will break ground on the trail in May of 2015 with an anticipated completion date of July 2015. This project would not be possible without the support we have had from this wonderful community over the last three years and without your continued support. The trail will be a wonderful place for families and individuals to enjoy a safe and inspiring walking/running path. We are thrilled to have the opportunity to give back to such an incredible community in Tyler’s name and memory. More details will follow and we look forward to updating all of our supporters and the community on this exciting project. This video was done as a school project by one of Tyler’s friends, Lindsey Smith. She is a ninth grader at Northview High School. She did a great job in telling the story of how community is affected and plays a part helping families try to heal when a child has died. Eating family dinners together has been linked to a lower incidence of teen smoking, drinking and drug use. Research also shows that kids who eat with their family get better grades. If your kids have every moment of their days scheduled, consider letting them opt out of one or two activities. You have to let your children find the balance of participating in activities they enjoy while also allowing time for free play, friends, family and sleep. Go hiking, biking or swimming. Create a special arts-and-crafts project. Cook a meal together as a family. Set aside a couple of hours for reading time. Go visit family or friends. Draw, paint or take pictures. Spend time talking, relaxing and laughing. Starting a family journal is a great way to spend more time with your kids as well as gain insight into their innermost feelings. Traveling more is a wholesome resolution that every member of the family is sure to enjoy. The trips don’t have to be extravagant, break-the-bank treks. Think camping, road trips and visiting friends and family in nearby cities or states. If you’re not used to simply chatting with your kids, creating a resolution to communicate more (outside of the necessities of the day-to-day) may seem a little silly at first. However, the more you start enjoying casual conversation with your family as a whole, the easier it will become. Probably the most important thing you can do for your family is to enjoy life and avoid arguments. Don’t sweat the small stuff. Create a laid-back atmosphere in your household with lots of laughs and love. I once heard someone say the true meaning of life is people. Our relationships that help shape us and the impact we leave with others. I didn’t understand this idea completely but what else is there? We all get caught up in always wanting to be first, to have more “stuff”. We are all in this together so we should attack each day wanting to make a positive impact on people around us. After we lost Tyler no one ever talked about his cool shoes or clothes, they talked about the impact he left in their lives. We got letters of the time he stopped a bully picking on a younger kid, helping the kindergarten girl off the bus to her class the first day of school. Always being there for his teammates and friends. I hope this video inspires you as it did me to get out there and make the world a little better! We hope everyone had a great summer and you are now getting settled into what will be a great school year! The Tyler’s Way Board and foundation are excited about the great events and community support we will be providing this year. We support our mission of Community, Character and Family through Character Education Awards, TS82 Scholarships, sports scholarships, grief baskets and family support. We are expanding our reach this year adding more Johns Creek schools and more sports scholarships through different organizations. We thank you for your continued support which enabled us to give over $5000 to recipients of these awards last year. · Take a walk as a family-with no phones, television or household distractions, the conversation will flow. We have found it fun to sometimes add a short scavenger hunt list for our little one which adds additional fun. · For those little ones, set a timer for 20-30 minutes and give them your undivided attention to play games, color, read etc. Put your phone away and don’t let anything distract you during that time. Twenty minutes of total time is much better than an hour of time spent sporadically checking your phone. Kids notice. · Take the time to read to your kids or just talk to them as they go to bed. Don’t send them off to bed on their own. If you have little ones, a good short book gives you one on one time to snuggle and let them feel loved as they close their eyes at the end of the day. For older kids, ten minutes of talking to them about their day as they wind down for the night shows them they are important and things in their life matter as well. Good luck to everyone on a great school year and don’t ever take for granted what is right in front of you! Family is everything and life is precious! We are pleased to announce some news from the foundation. In line with our family mission, we have been able to support several families in grief this past month. We are saddened by their losses and hoping to provide some support through Tyler’s Way and our community. Tyler’s Way has delivered grief baskets filled with numerous items to support someone in grief to four families in our community. Each basket is filled with items to help these families start the process of healing. The Baskets went out to The Canty Family, The Dannelly Family, The Garrett Family and the Nelson Family. Tyler’s Way has also donated a $500 check to the family of Priscilla (CiCi) Chan to help with the financial burden of medical and travel costs acquired through her treatment. CiCi was a fifth grade student at Findley Oaks Elementary who sadly passed away in March. Thank you again for your continued support of Tyler’s Way. Your participation at our events and donations helps us help others!